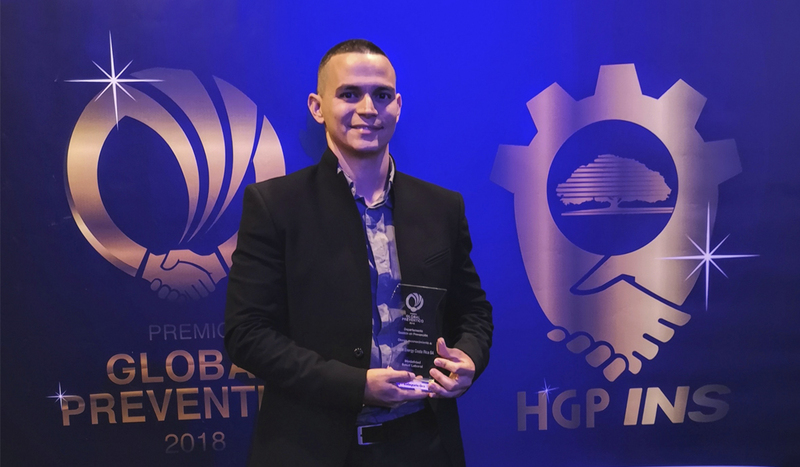 The Safety, Quality and the Environment Department of GPG Costa Rica has seen its work recognised with a Gold Prize in the category of “Innovative Programmes in Occupational Health” at the Global Preventico Awards. The winning initiative was a safety competition in place since 2013 at the country’s hydropower plants aimed at encouraging occupational safety through positive reinforcement and staff involvement. This initiative forms part of the Health and Safety Commitment promoted by the company’s Senior Management and involves all employees, contractors and partners to achieve the final goal of reducing accidents to zero at company facilities. The award joins the two awards that GPG previously received at the Global Preventico Awards by INS in Costa Rica. These acknowledgements highlight the commitment and involvement by the company in terms of occupational safety. Organised by the National Safety Institute of Costa Rica, the awards recognise business initiatives that foster ongoing improvement in occupational safety-related working conditions and programmes that encourage improvements in occupational health, road safety and general health at companies.